I do hope that you are all well and are keeping yourself warm, hasn't it been cold over the last few days?? 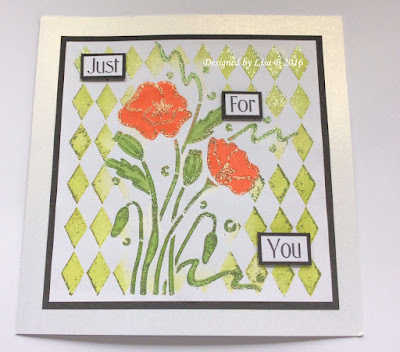 Well first of all, can I apologise for my lack of blog posts lately? February was such a hectic month for me with two Hochanda Shows with Imagination Crafts and the spring NEC Trade Show too. My feet barely touched the ground before I was then sorting out my class for last Friday, so I have just had no spare time to make anything else for the blog last month. 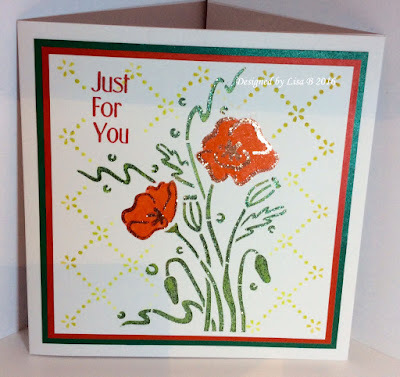 I made the card up front and then decided I would like to show you a tutorial break down on how it was done so that you can have a play at home if you wish......so I made another one and remembered to take photos this time!!! 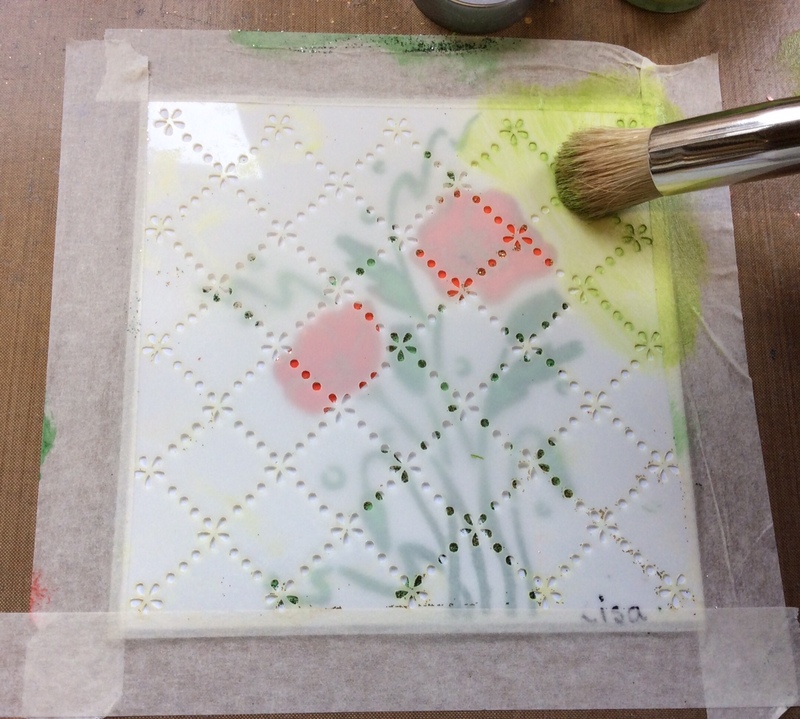 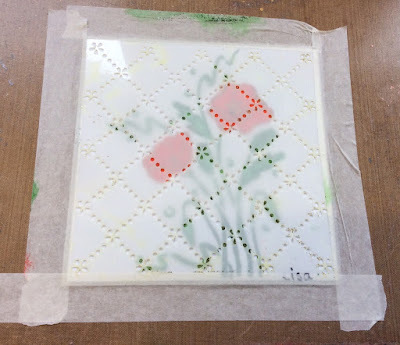 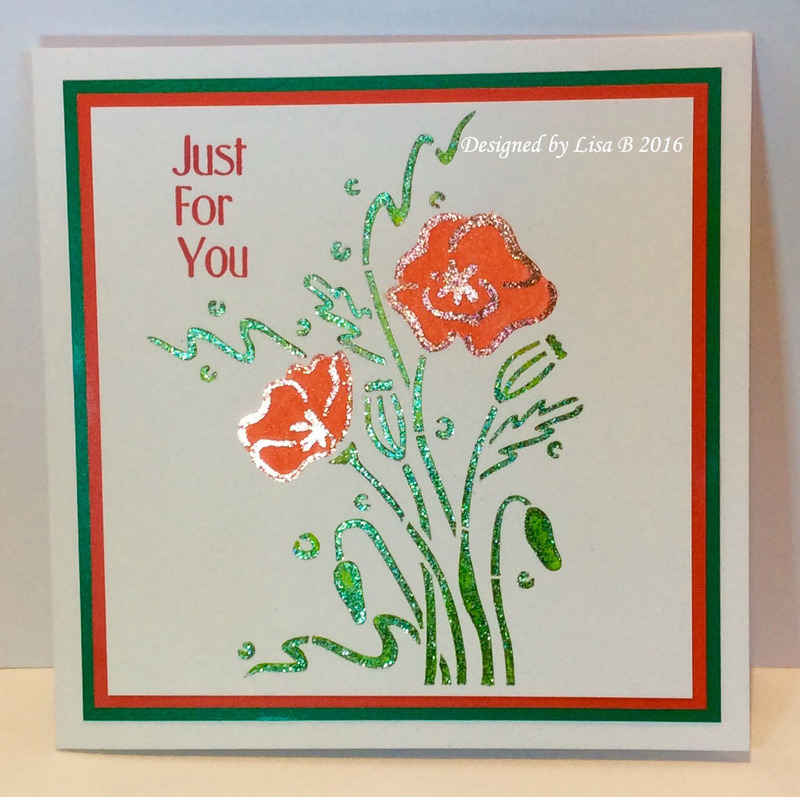 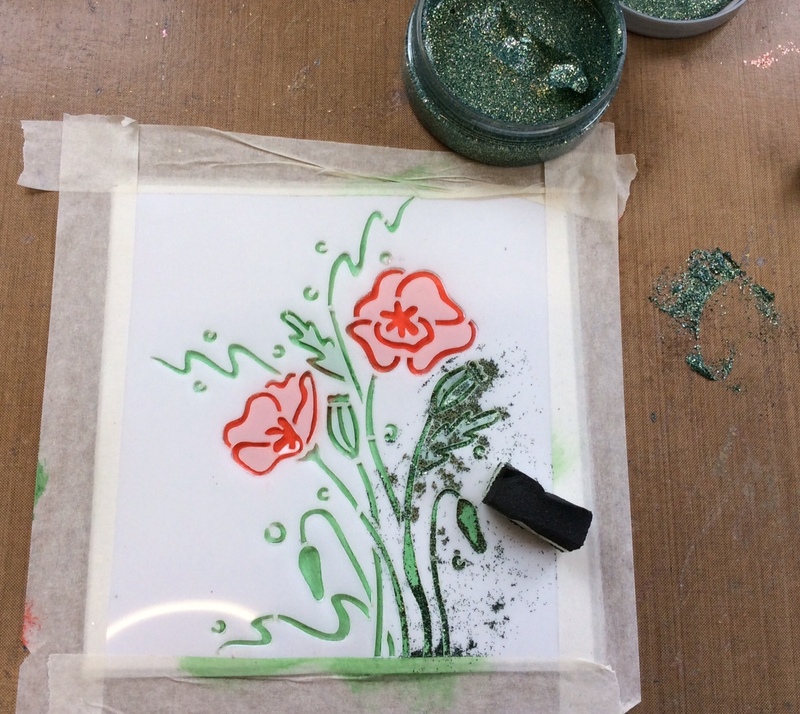 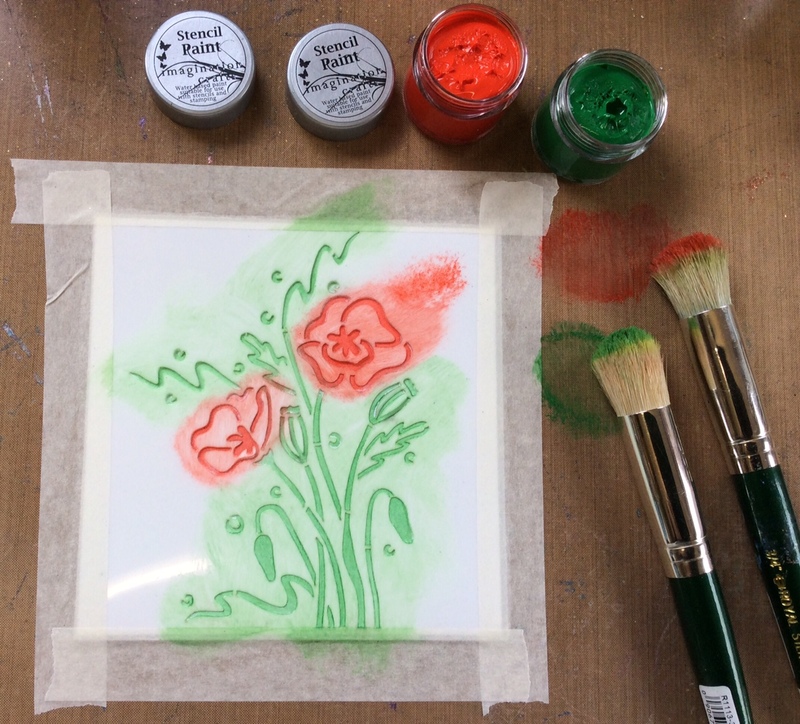 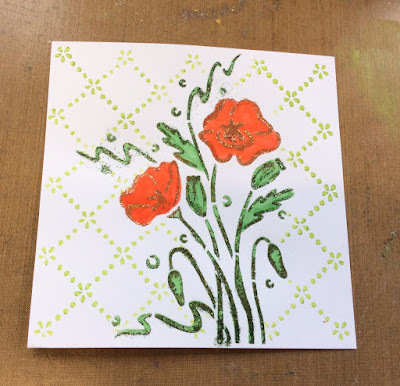 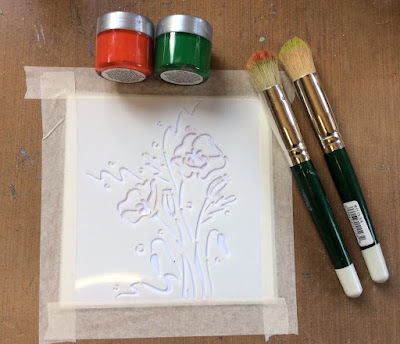 To begin with, I taped down my stencil using Stencil Tape on to Super Smooth card and got out my Stencil Paints, I used Poppy Red, Lime Green and Meadow Green. Then using my Stencil Brush I added a small amount of paint to my brush and then stippled the meadow green paint through the stencil on the leaf and stem areas. 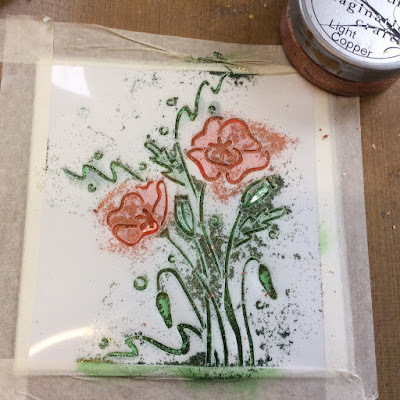 Next I removed the stencil and added a couple of drops of Magi-Blend, (Magi-Blend is a solution that will water down any water based paint to make it more paint-able but will not dilute the pigment colour at all like water would), to a small amount of the poppy red stencil paint and using a small paint brush I painted in the head of the poppies to make them in to a negative image. I then did the same with the green for the leaves. 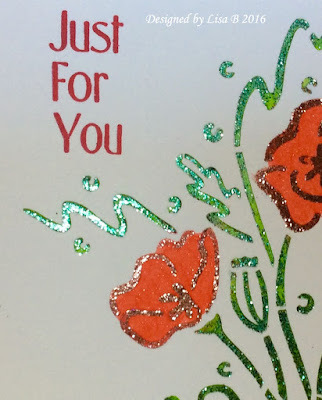 Now when I say foiled you may be saying to yourself how is that done? 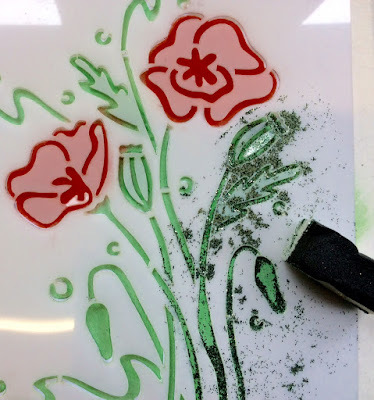 The best thing to use is a piece of cut'n'dry foam that you have forgot to wash out and it has gone hard as it creates a much better friction. 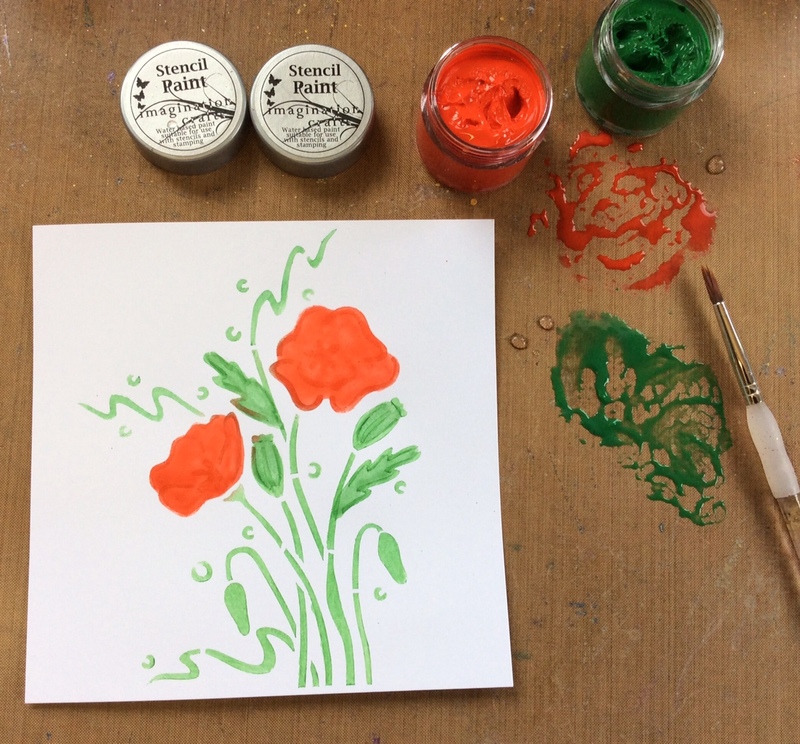 Apply a small amount to the foam and really work it in to the foam first. 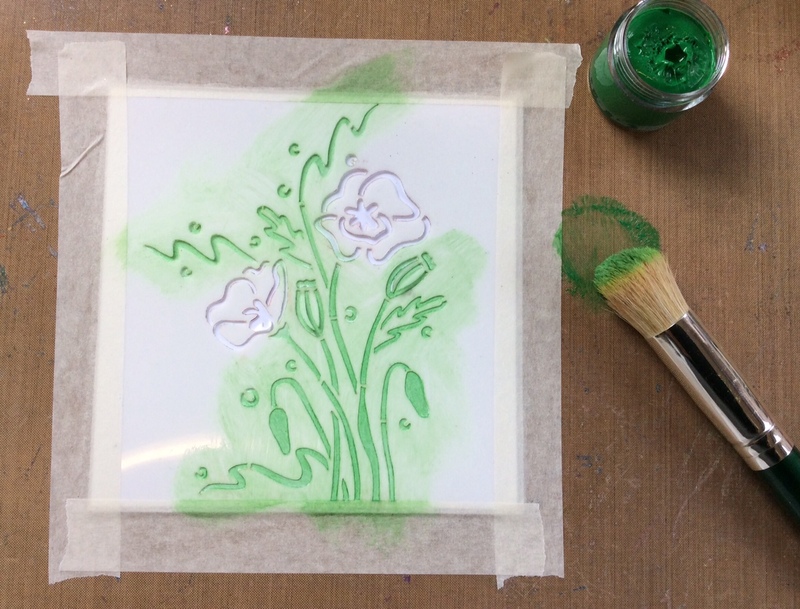 Then take it over your stencilled image and rub it in a circular motion. This will friction the glitter and make it foil......There we have it, it is great fun to do and you get some great results. Here is a close up of the foiling, it looks great, doesn't it? 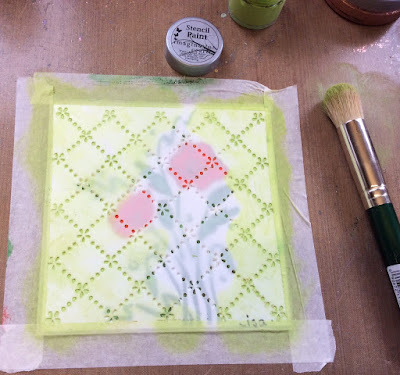 So we are going to put another lovely background stencil Daisy Diamond on top of our foiled image. 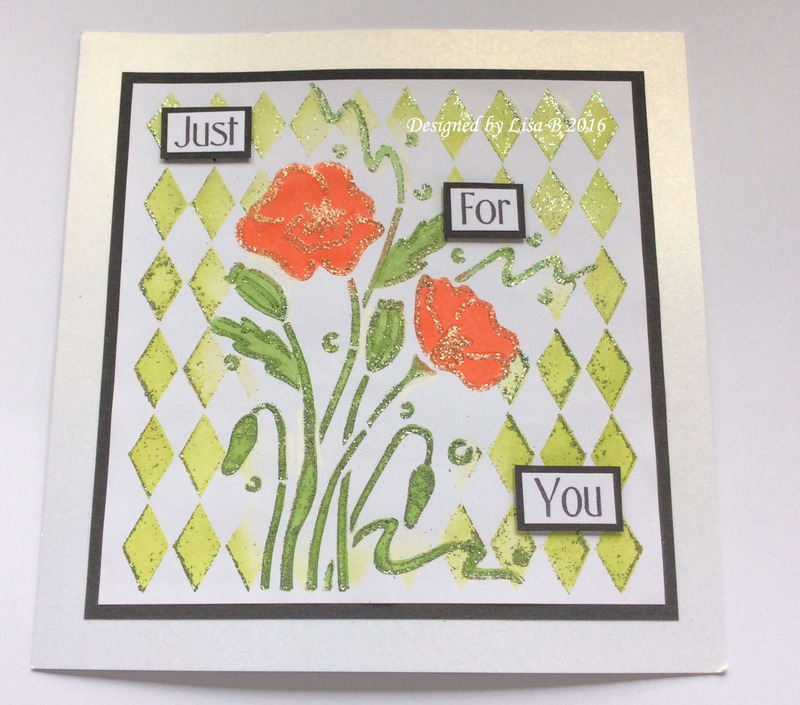 The tone on tone Sparkle medium gives shine but in a subtle way, lovely!